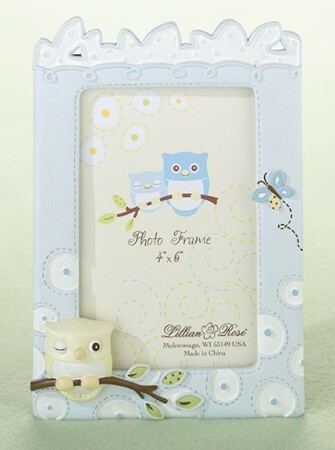 This blue photo frame is a sweet and loving addition to the little one's nursery. This frame has an adorable owl on the bottom corner and a cute butterfly flying up the side. Holds a 4" x 6" photo. Also available in a pink owl version.